The Welbi, an adult health monitor that is capable of measuring vital signs such as heart rate and breathing rate from a distance, allows families to monitor the health of their aging loved ones even when they can’t be in the same room. The device connects to the cloud and to a mobile app that users can log into to keep track of their relatives’ health. 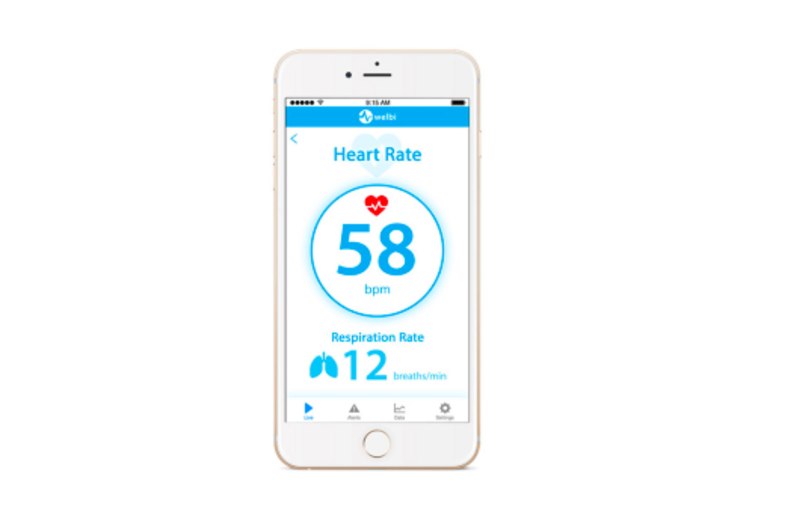 Welbi uses low-power radar to analyze how a person’s body is expanding and contracting as he or she breathes, and as his or her heart beats. After the device has collected 30 seconds’ worth of data, its algorithm converts the information into a heart rate and respiratory rate and sends the data to the cloud, where it can be accessed by authorized friends and family. Welbi connects to Wi-Fi, but unlike popular wearable health trackers, the user does not need to interact with it in any way. Instead, it continuously monitors and scans the room it’s placed in. The concept was originally for a remote baby monitor that would be better suited to keeping tabs on squirmy newborns than wearable devices, but Nosanov said the market for adult monitors proved much more promising. In the future, the team behind Welbi plans to develop similar devices that go beyond basic monitoring and are instead capable of detecting and diagnosing disease.